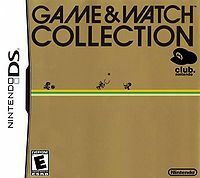 Game & Watch Collection is a game for the Nintendo DS only available to members of Club Nintendo. It is a compilation of three Game & Watch games: Oil Panic, Donkey Kong, and Greenhouse. This page was last edited on 30 October 2011, at 15:07.